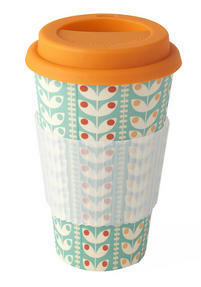 Look after the environment while enjoying your morning coffee with this eco-friendly reusable travel mug. 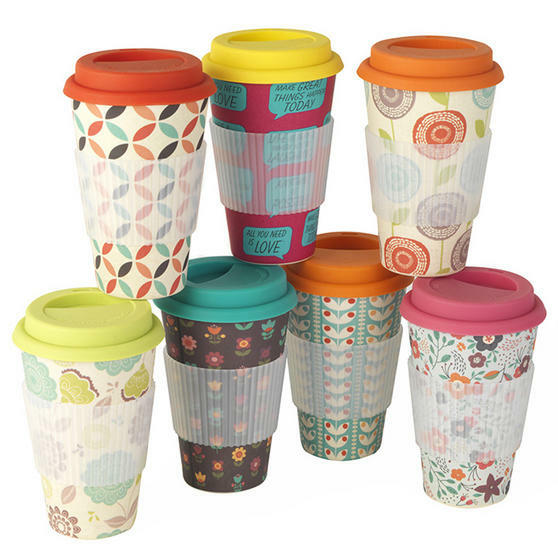 Combining beautiful designs and practicality, it is lightweight and dishwasher safe, and in a retro style red, yellow and green flower design you can do a good thing for the environment and look good doing it! This gorgeous Cambridge travel mug has a heat resistant silicone lid and grip, so it is easy to carry and drink on the go - making it perfect for your daily commute.